The online registration process for the Combined Pre Ayush Test (CPAT) 2017 has been extended till September 27. 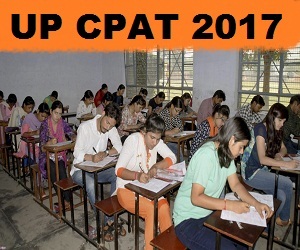 A per the schedule, Lucknow University will be conducting the CPAT 2017 on October 4, from 1 pm to 4 pm. Click to submit and take print out of the same for future use. The age bar which was set for appearing for the Combined Pre-Ayush Test (CPAT) 2017 has been removed by the Uttar Pradesh government. Earlier, only candidates between 17 years and 25 years of age were eligible to apply and a relaxation of five years was given to those from Scheduled Castes and Scheduled Tribes. Now, all those above the age of 25 years can apply for the same. The exam is conducted for admissions to ayurvedic, unani, and homoeopathy colleges in the state. On Tuesday, at a meeting of the advisory committee this decision was taken. The Ayush entrance exam is conducted for the admissions to Ayurvedic, Unani and Homeopathy colleges in Uttar Pradesh only. The test aims to fill approximately 3,160 seats offered at 49 government and private colleges for admissions to Ayurvedic, Unani and Homeopathy courses.